The 15 is the shortest GATRA route in Attleboro, and also the one with the least ridership, not to mention an inconsistent schedule. What is this strange route? Does it get any passengers? Let’s find out. The bus at the Attleboro Transit Center. 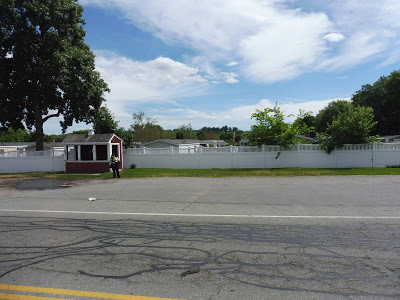 From Attleboro, we went onto Capron Street, going under the Commuter Rail tracks, then turned onto Union Street. The scenery was pretty industrial, although Union Street had a major stop where a few people boarded the bus. 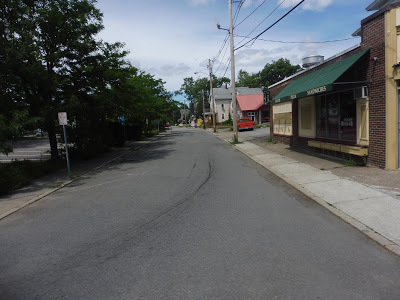 We then turned onto Park Street, which was a mix of houses, businesses, and offices, with some variety in the form of the huge Sturdy Hospital. Park Street became residential from there, the street lined with houses. At one point, we went past a factory, a field, and a gas station in quick succession, and there was an apartment complex soon after. From there, we went by a huge chapel called LaSallete Shrine, which is considered a major stop on the route. There was a bit of forest after the shrine, then it became houses once again, aside from a fire station and a seafood restaurant at an intersection. 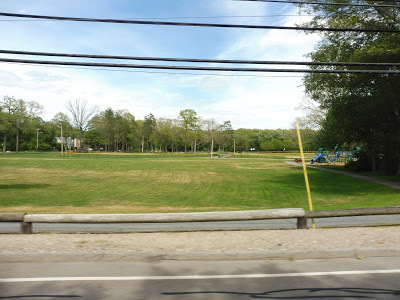 It was residential past there, although we also passed a Mass Audubon nature reserve. There were businesses at Oak Hill Ave, though, onto which we turned. We drove down here for a bit before making a u-turn at the Oak Hill Trailer Park, which is the strange last stop on the route. A nice shelter at Oak Hill. 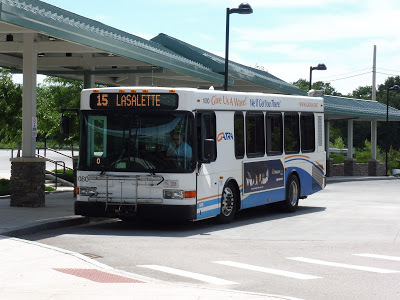 Ridership: The 15 is the least-used route in Attleboro on weekdays, with about 35 total passengers, while on Saturdays, it’s the least-used GATRA route in general, with only about 17 riders. My Saturday ride was surprisingly “busy,” though, with about five other people for the total round trip. Perhaps the 2:30 Saturday trip always gets a surge of riders? Pros: A GATRA route that doesn’t make deviations? Well, that’s a pro right there! I like the 15’s simplicity in general – it’s a short, straight route that gets the job done and gets it done quickly. As for its schedule, the route generally runs every 60-90 minutes on weekdays, while on Saturdays, it has two morning trips and three afternoon trips – it’s not a lot of service, but it makes sense for the route. Nearby and Noteworthy: Mass Audubon reservations are always fun for hiking, while the LaSalette Shrine looks beautiful. Well…it’s a GATRA route, so I’m giving it a break. To be honest, the 15 is hovering at around a 6.5 for me, but I give the GATRA a lot of hate, so I figured I’d round it up. Don’t get me wrong, this route has its problems, but it wins out with its simplicity and pretty sensible headways (aside for the weird tiny ones on weekdays).